Be in the Know with Depict. « WHERE WILL YOU BE FOR THE MEN’S OLYMPIC GOLDEN GAME? TORONTO, ON – March, 18 2010, Extreme Fitness a leading fitness club operator in the GTA, has teamed up with Warner Bros Canada to produce the action-packed, fast-paced CLASH OF THE TITANS WARRIOR WORKOUT designed to get participants in warrior shape and pumped up to watch Warner Bros. latest 3D action movie “CLASH OF THE TITANS” starring Avatar’s Sam Worthington and Academy Award® nominees Liam Neeson and Ralph Fiennes. The one-hour group fitness style CLASH OF THE TITANS WARRIOR WORKOUT will debut at Extreme Fitness Yonge and Dundas Square, 319 Yonge Street, on Wednesday March 24th at 6:30pm. 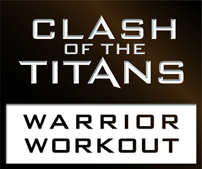 The CLASH OF THE TITANS WARRIOR WORKOUT originates from fight training, as it combines fluid movement and a full body workout. The class provides a variety of intense workouts that incorporate multiple disciplines of training to create a fusion of various forms of martial arts, dance and sport specific training systems. The CLASH OF THE TITANS WARRIOR WORKOUT will be led by Extreme Fitness’ professional wrestler/fighter andfitness trainer George Kiriakiou. George has extensive training inMixed Martial Arts including Brazilian Jiu Jitsu, Wrestling, MuayThai, Boxing and Judo and his experience as a professional fighter hasgiven him the opportunity to train and learn techniques all over the world. “CLASH OF THE TITANS” in theaters. Space is limited to 30 participants per class – for registration please email titans@extremefitness.ca and make sure to include the desired date. In “CLASH OF THE TITANS,” the ultimate struggle for power pits men against kings and kings against gods. But the war between the gods themselves could destroy the world. Born of a god but raised as a man, Perseus (Sam Worthington) is helpless to save his family from Hades (Ralph Fiennes), vengeful god of the underworld. With nothing left to lose, Perseus volunteers to lead a dangerous mission to defeat Hades before he can seize power from Zeus (Liam Neeson) and unleash hell on earth. Leading a daring band of warriors, Perseus sets off on a perilous journey deep into forbidden worlds. Battling unholy demons and fearsome beasts, he will only survive if he can accept his power as a god, defy his fate and create his own destiny. 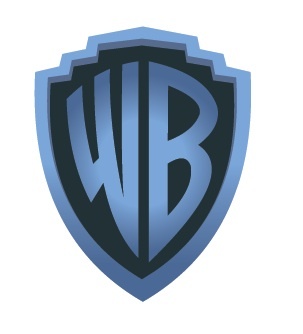 “Clash of the Titans” is being directed by Louis Leterrier (“The Incredible Hulk”). Leading the international cast is Australian actor Sam Worthington (“Terminator Salvation,” “Avatar”) as Perseus, the mortal son of Zeus, king of the gods. Academy Award® nominee Liam Neeson (“Taken,” “Schindler’s List”) takes on the role of the mighty Zeus, and Academy Award® nominee Ralph Fiennes (the “Hary Potter” films, “The English Patient”) plays the role of Hades, god of the underworld, who feeds on human fear. Rounding out the cast is Gemma Arterton (“Quantum of Solace”) as Io, Perseus’ mysterious spiritual guide throughout his journey; Mads Mikkelsen (“Casino Royale”) as Draco, who takes up his sword to join Perseus’ quest; Jason Flemyng (“The Curious Case of Benjamin Button”) as Acrisius, a one-time king turned hideous beast; and Alexa Davalos (“Defiance”) as Andromeda, a princess doomed to lose her life if Perseus does not succeed. This entry was posted on Friday, March 19th, 2010 at 8:59 pm	and is filed under Uncategorized. You can follow any responses to this entry through the RSS 2.0 feed. You can leave a response, or trackback from your own site.